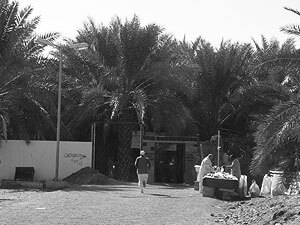 The history of Makkah dates all the way to the time of Prophet Abraham, when he left the suckling Ishmael along with his mother, Hajra under a tree on the hillock. Years later, Abraham returned and, on God’s orders, built the Ka'aba. The city steadily grew into an important trading city in the region, largely because of the holy spring of Zam Zam offering water to thirsty travellers in passing caravans. In 560 AD Prophet Muhammad (SAW) was born to one of the powerful tribes inhabiting the city. In 600 AD, Islam was revealed at the Jabal-e-Noor (Cave of Hira) to Muhammad (SAW). Consequently, the powerful pagan tribes in Makkah cast Muhammad (SAW) out in 622 AD, only to see him return eight years later with such a might that Muhammad (SAW) gained victory without having to face any resistance whatsoever. Over the centuries the Arabs kept control over the land despite the seat of power of the Muslim world shifting, first to Damascus then to Baghdad and then to Constantinople (Istanbul, Turkey) during the Ottoman Empire. A fort was built around Ka'aba to protect it. However, following the defeat of the Muslims after World War I, and the subsequent end of Khilafat Mecca was handed over to the new Arab rulers, the Saud family with certain conditions and pledges evoked from the new rulers regarding the destruction of holy sites.